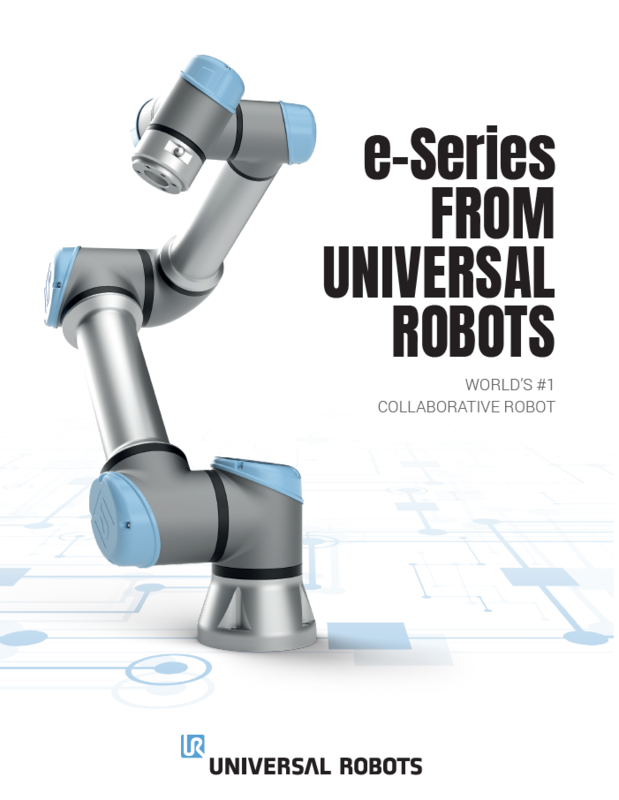 The Universal Robots e-Series is a future proof robotic automation platform for manufacturers of any size. 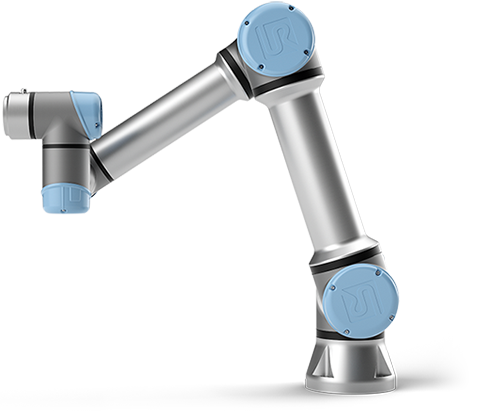 The pioneer and market leader of collaborative robots introduces their flagship series of cobots that enables faster development, easier programming, and the very latest ISO safety standards. 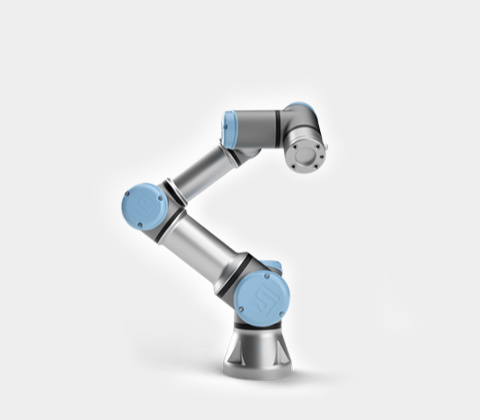 With 30 micron repeatability on the UR3e & UR5e and 50 micron repeatability on the UR10e, the new series is 2 to 3 times more repeatable than the previous generation. 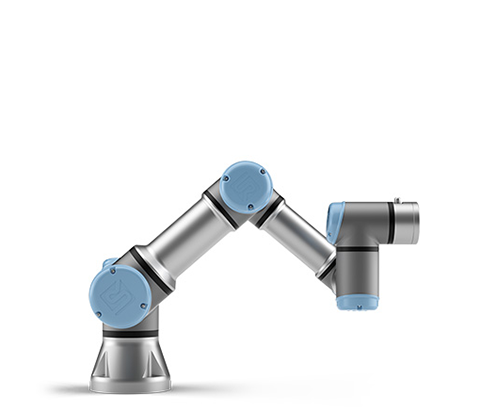 A new light and responsive tech pendant and a modern programming interface make setting up your cobot easier than ever. With all of the functions at your fingertips and easy access to UR+ add-on features, you'll be up and running in no time. 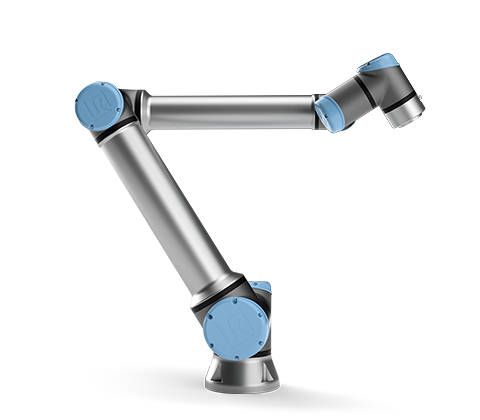 With the new built in sensor, the e-Series is ready to take on applications requiring force control right out of the box, such as assembly, sanding, buffing, polishing, and deburring. 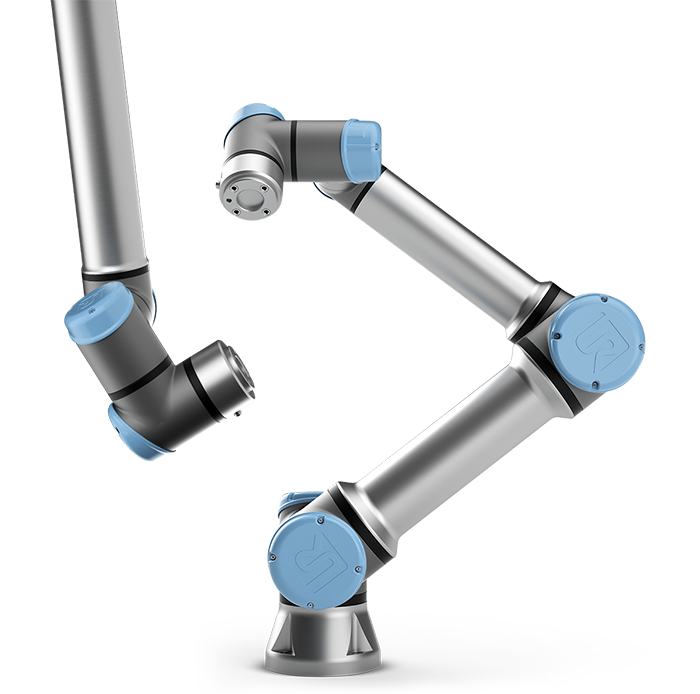 A repeatability of 30 micron on the UR3e & UR5e and 50 micron on the UR10e means the new cobots are suitable for very precise finishing, assembly, and electronics tasks. 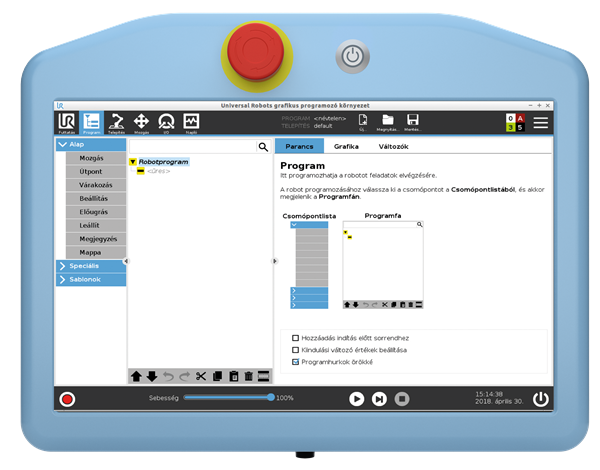 The user interface now includes programming stopping time and stopping distance for protective stops. This unique feature greatly reduces the complexity and uncertainty involved in performing pre-deployment risk assessments. 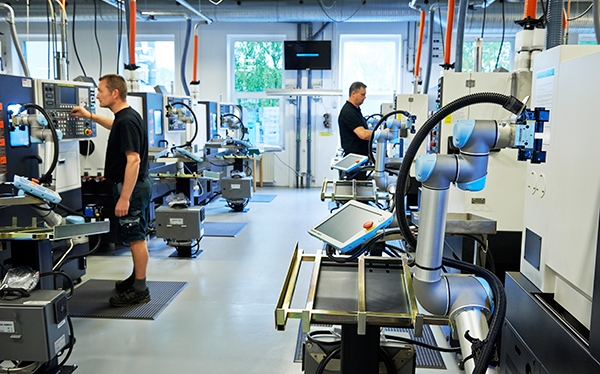 All 17 safety functions are certified by TÜV Nord and in compliance with the EN ISO 13849-1 and EN ISO 10218-1 machinery safety standards for unobstructed human-robot collaboration. 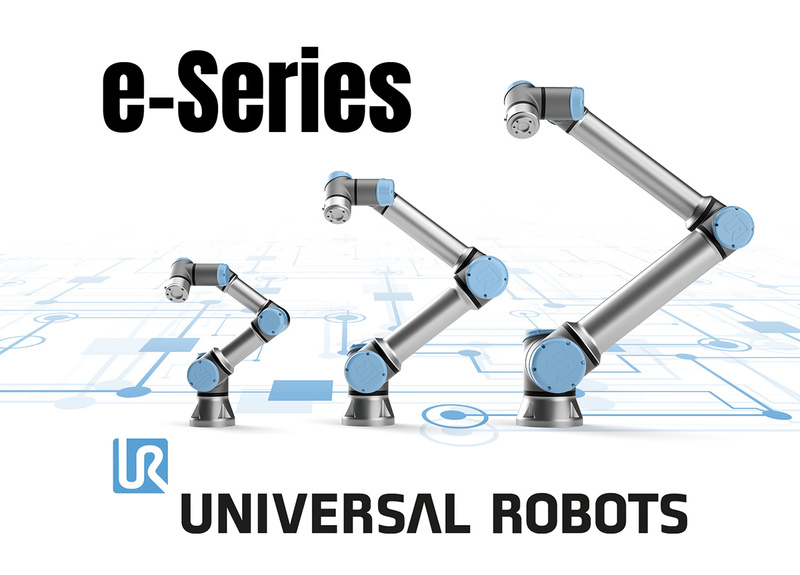 Universal Robots+ is an online showroom that provides cutting-edge products to customize a UR robot application that perfectly meets your requirements. You can find everything you need in one place – from end-effectors and accessories to vision cameras and software. 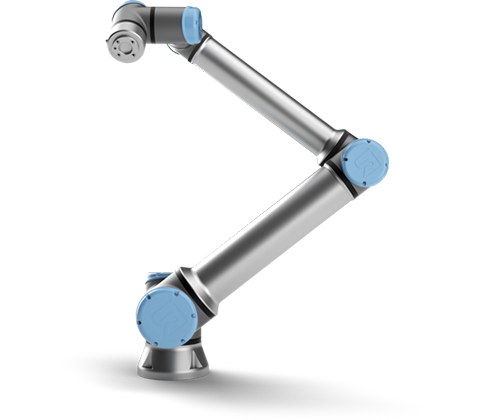 All products are tested and approved to perfectly integrate with UR robots, ensuring simple set-up, reliable operation, smooth user experience, and easy programming. The result is fast, smooth, and low-risk integration. Are you ready to see what the e-Series can do for you? Schedule a demo today to see it in action. In most cases we can solve your application right on the spot.